have implemented this project to tide over the water shortage. A wide publicity was given by the media, keeping in mind the need and interest of the people. Multi-Storied Complexes, Schools, Colleges, Industry and so on. Seminars on RWH Awareness were also conducted under the aegis of MCCIA, Pune. National Water Academy, Khadwasla, Pune invites Col Shashikant Dalvi to address senior executive Engineers from all the states every year. 25 th Climate Reality Leadership Corps training, in Melbourne Australia, from 25 To 27 jun 2014. The training was attended by 535 select group of people come together to confront the greatest issue of our time , the one that will define us to future generation. The training was carried out by Mr Al Gore, Noble laureate, former VP of USA . Also group of world class communicators, organisers, strategists, & innovators about climate change interacted with the trainees. We also interacted with veteran Climate reality Leaders from around the world. Since 2003 - More than 250 RWH projects have been successfully implemented. The projects include Hospitals, Multi-Storied Complexes, Schools, Colleges, Industry etc. Seminars on RWH Awareness was conducted under the aegis of MCCIA, Pune. National Water Academy, Khadwasla, Pune invited Col.Dalvi to address senior executive Engineers from all the states every year. 2nd April 2011 - Pune Municipal Corporation organized a seminar on rainwater harvesting. The seminar was presented by me. 26th July 2011 - DD-1 Sahayadri National Channel broadcast my interview on Rainwater Harvesting. 13th April 2012 - ETV Marathi broadcast my interview on Rainwater Harvesting. 11th May 2012 - was Speaker at Rainwater Harvesting Seminar organized by Dna Newspaper. 5th June 2012 - BJP Mahila Agadhi launched RWH mission. Seminar presented by Col. Dalvi. 17th June 2012 - addressed 2500 delegates attending Panchayat Raj Shivir organized by NCP on RWH awareness. 12th May 2014 - was Speaker at Rainwater Harvesting Seminar organized by Dna Newspaper. 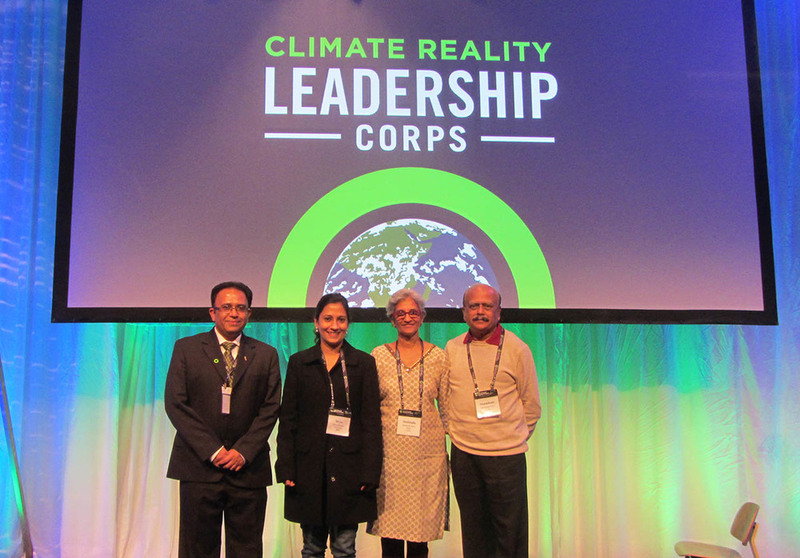 Attended INTERNATIONAL CLIMATE REALITY LEADERSHIP TRAINING, from 25th – 27th June 2014 in Melbourne Australia. The training was conducted by Mr. Al Gore (Nobel Laureate and Former VP USA) . The workshop was attended by 535 people from all across the globe. 16th August 2014 - conducted a Seminar on Climate Change and Rainwater Harvesting at HUTATMA BALVEER SHIRISHKUMAR SCHOOL, Pune. The seminar was attended by 200 students aged between 13-16 years also by the School Staff.